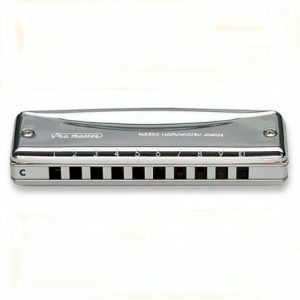 The Suzuki Hammond harmonica has a unique look, and bright sound. 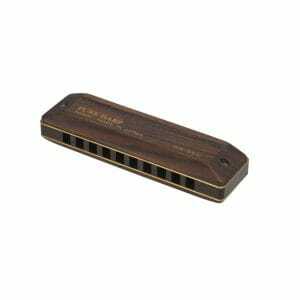 This harmonica is finished with a black anodised comb, and enamelled cover plates with the Hammond logo. 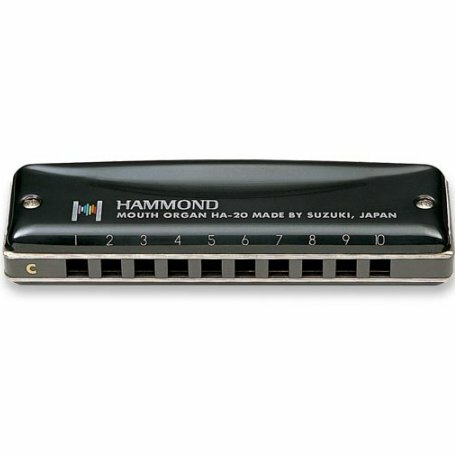 The bright beautiful sound of this harmonica will get you addicted to the Hammond Suzuki. 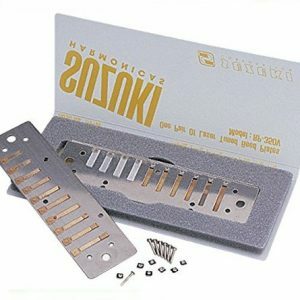 The Suzuki Hammond weights 91 grams, and is approx 100 x 27 x 20mm in size, ideal to slip into your pocket. It is complimented with a retro style plastic box. 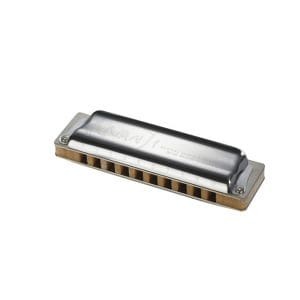 Reed plates are available – the Pro Master MR350 reed plates fit the Suzuki Hammond harmonica.